See and manage all of your applications—including web apps, databases, virtual machines, virtual networks, storage, and Visual Studio team projects. You personalize your experience based on your priorities. 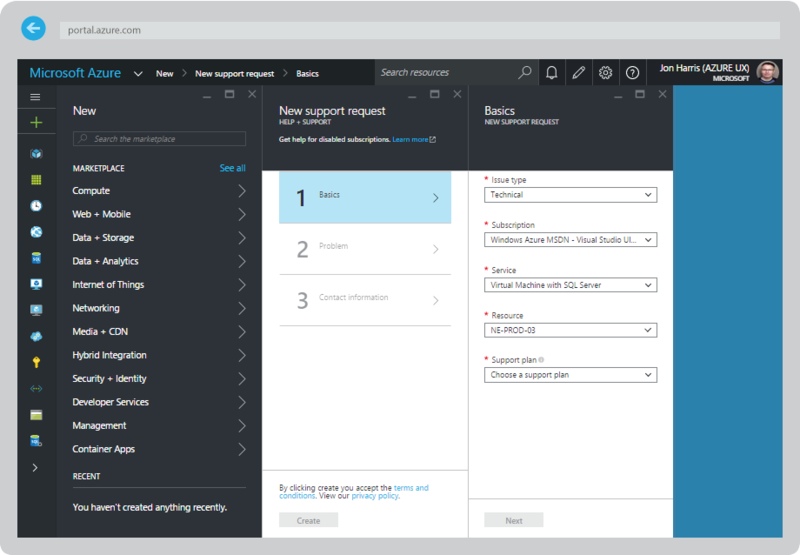 Get an overview and see which Azure services can be managed with the Azure portal. Discuss more about this. 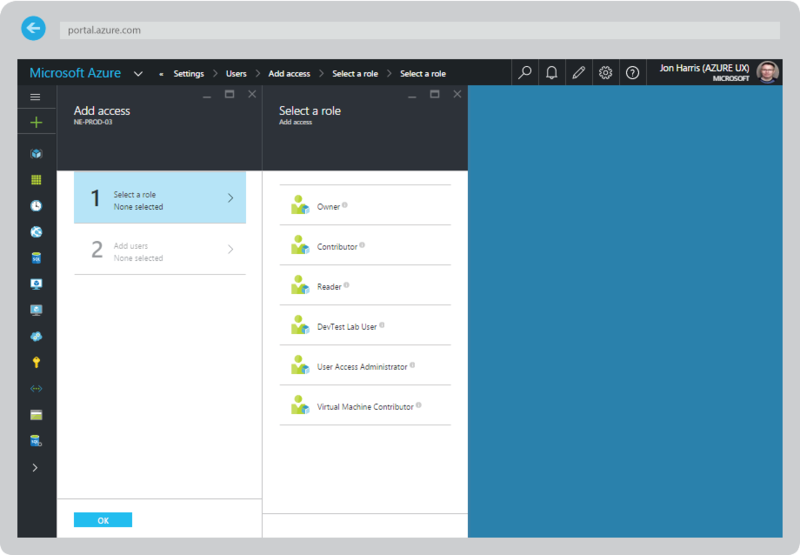 Personifying is one of the amazing features of Azure portal. It allows you to customize your portal in a way that all your essential resources can be displayed in front. The portal can be configured in a variety of themes and number of languages. 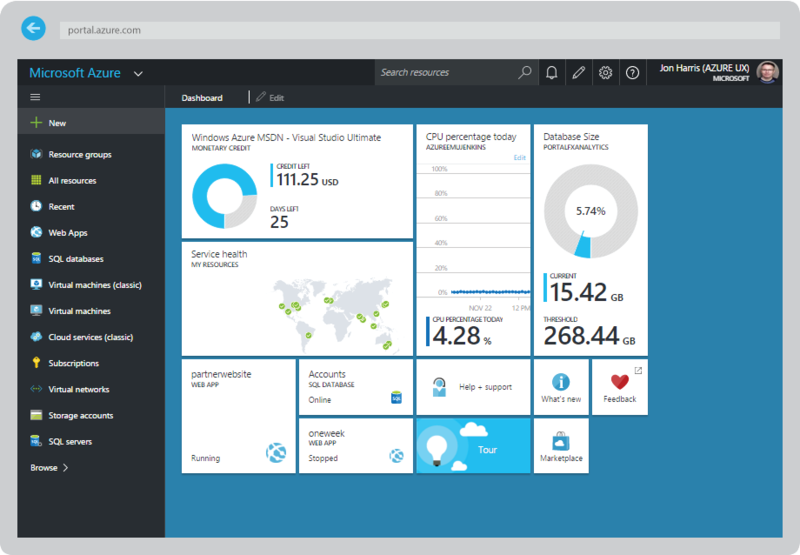 Even the dashboard of the Azure portal can be given a personal touch. Multiple dashboards can be created and also shared. To enhance the ease, drag and drop functionality is provided with the dashboards. Role-based Access Control gives you precise control over who can manage what. Grant explicit management and access rights to the subscription, service, and operation levels for individuals and groups. 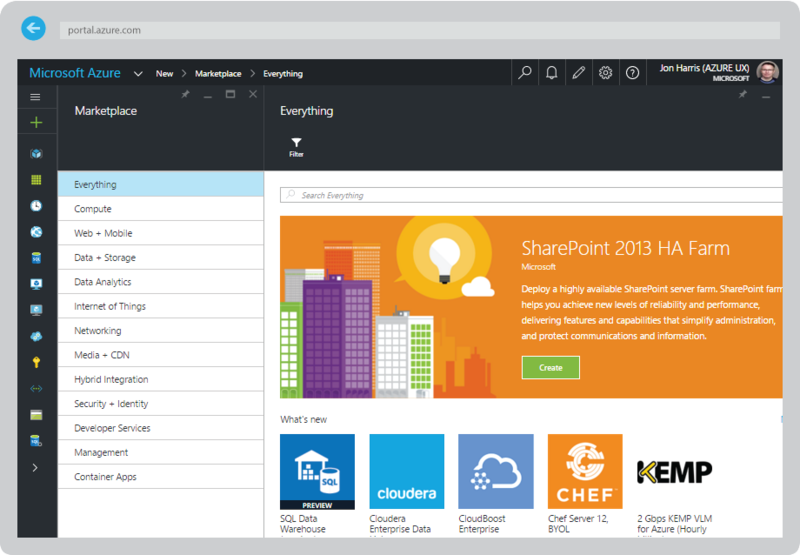 Browse through Azure Marketplace’s rich set of thousands of products and end-to-end solutions. Get access to open source applications, frameworks, and templates (like DotNetNuke, Drupal, WordPress, CakePHP, Umbraco, Django, Express) and enterprise applications that have been certified and optimized to run on Azure. Make the best use of these services to create a custom solution. We can not only provide you with the Azure portal but also help with the best customization. With the Azure portal, you are always one click away from being able to see and understand what you are being charged for. 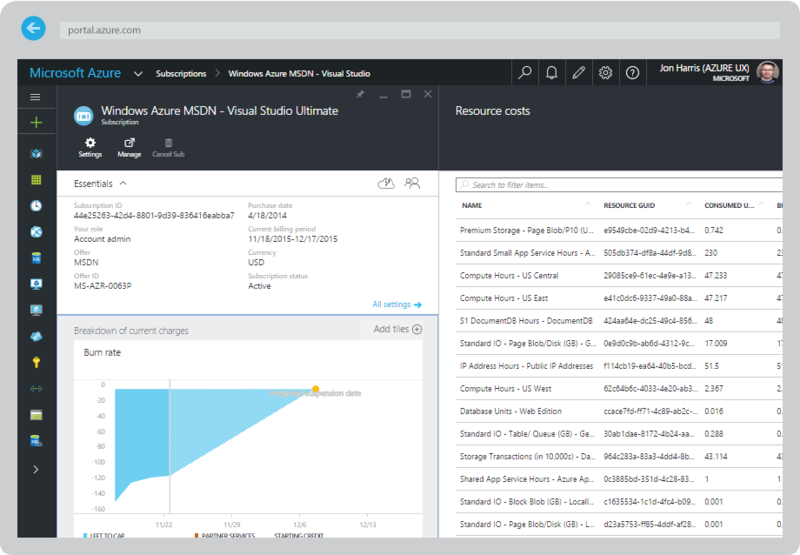 Even if you have multiple resources, the Azure portal automatically computes and provides a breakdown of your existing charges along with the usage. It also provides a forecast of your likely monthly charges and offers recommendations for eliminating idle cloud resources.